The building houses three restaurants from the Specialty Restaurants group – Mainland China, Sigree and Oh Calcutta. The Bengali restaurant is in the ground floor of the building. On entering the restaurant, you can’t but help looking at the décor. On one side, many landmarks of Kolkata adorn the walls. On the other side, you see framed pictures of famous film actors of Bengal. A book shelf has some contemporary Bengali books which one might flip through while waiting for the food. As you wait for the starters, you are served a bowl of complimentary Musur Daler Bori Bhaja with tomato dip and dahi cucumber dip, just to munch away till the food arrives. The bori bhaja is crunchy and both the dips are well made, especially the tomato one which had coriander leaves and green chili flakes in it. 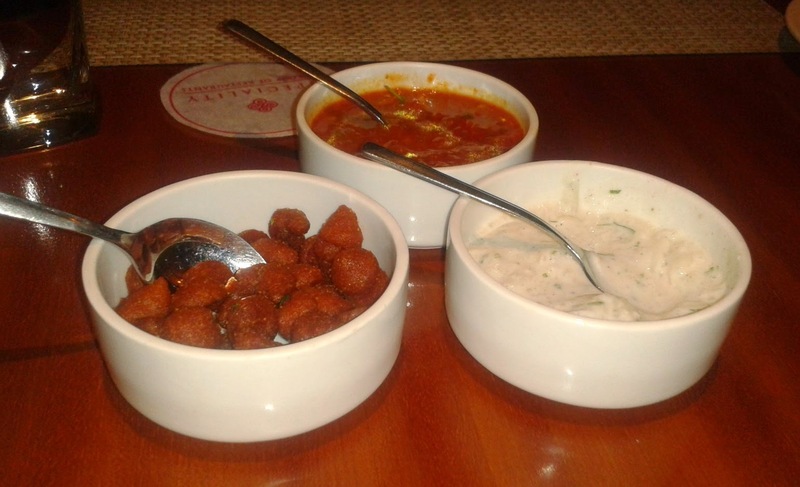 Among the starters, Mochar Chop is very popular among the vegetarians. Mocha or banana flower is one of the most loved vegetarian fares in Bengali cuisine used to make not just chops but other delicacies like Mochar ghonto, a vegetarian dish or Mocha Chingri, combined with prawns. The chop is possibly the simplest of them all to be savoured with kasundi. Bhapa, a steamed dish is another specialty from Bengali. While Alu Bhapa is the vegetarian version, Kakra Chingri Bhapa served was essentially crab meat and prawn in a mustard and green chili marinade, steamed inside a banana leaf. As soon as you open the banana leaf, you are overwhelmed by the aroma. An extremely well made and delicious dish, Oh Calcutta serves it with a tamarind based dip, though I personally don’t take much fancy to it. 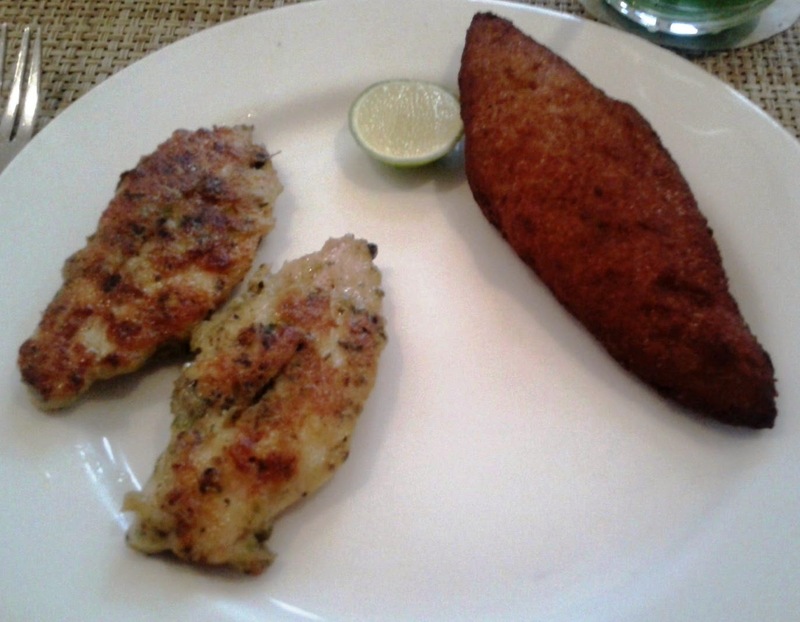 Two other starters - Murshidabadi Chicken Fry (boneless pan fried chicken cutlets marinated in a special masala) and Gondhoraj Bhetki( bhetki fish prepared with the special flavor of Gondhoraj lebu - a type of flavored lime which is a delicacy in Bengal) are typical favorites. 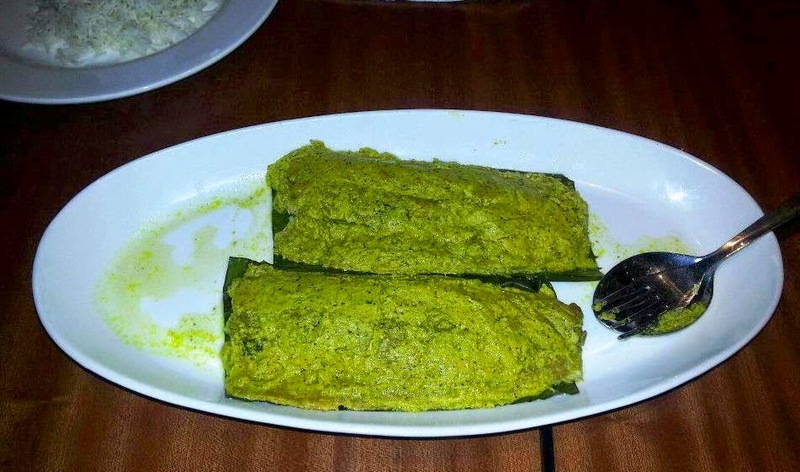 Another one which they serve is the Bhetki Paturi- Bhetki Fish in mustard sauce, wrapped in a banana leaf and steamed. For vegetarians, Hing (asfoetida) Diye Alu Dom or Dhoka (a typical Bengali gravy dish with lentil cakes) is highly recommended. 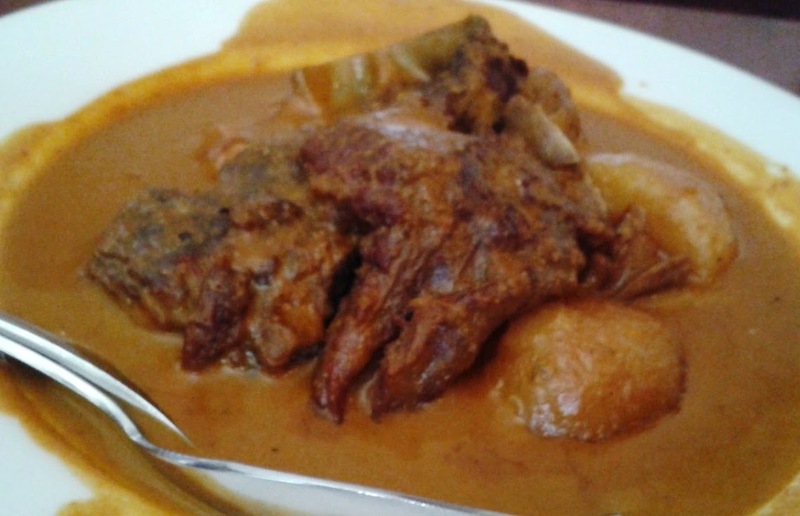 For non-vegetarians, it has to be Kosha Mangsho (Sautéed Mutton - Bengali style). You can also try the Chittagong Masala Murgi. The Chittagong district in Bangladesh serves one of the spiciest variants of Bengali cuisine, and this chicken masala cooked in red chili paste, garlic and ginger is simply perfect for the Luchis (typical Bengali maida based poories). 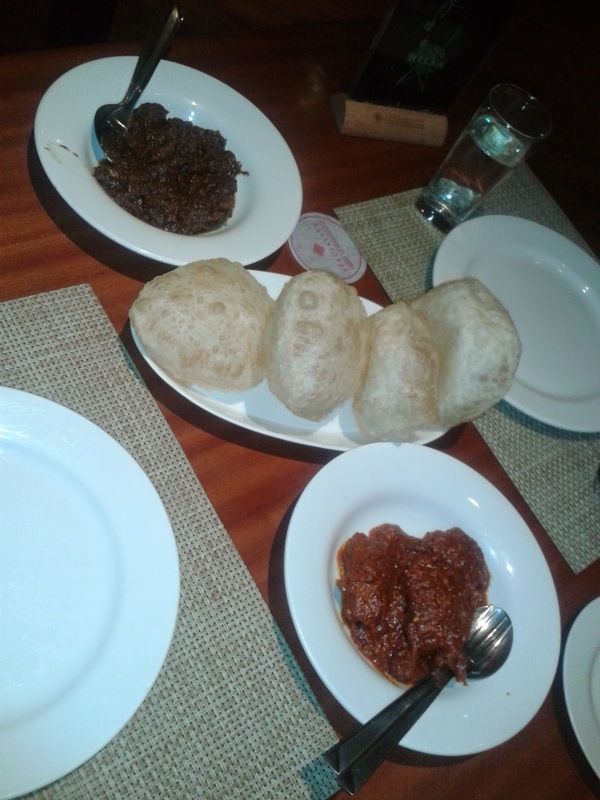 As with many Bengali restaurants, Oh Calcutta many dishes to be enjoyed with rice. 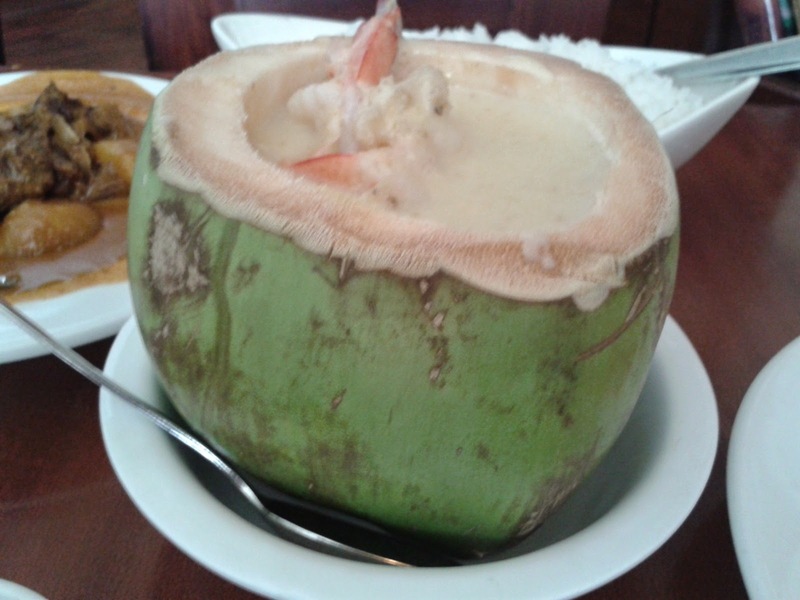 The first among this is Daab Chingri – prawns cooked with the soft malai and the nariyal pani of a raw coconut. The dish is presented in a green coconut with the prawn curry seen from the top- a feast to the eyes. Kachalonka Chicken (chicken cooked with green chillies and coriander leaves), Railway Mutton Curry (a recipe of the pre-independence canteens of erstwhile Bengal-Nagpur railway), and Chingri Macher Malaicurry (Prawns in coconut milk) are some of the other dishes to be tried with rice. 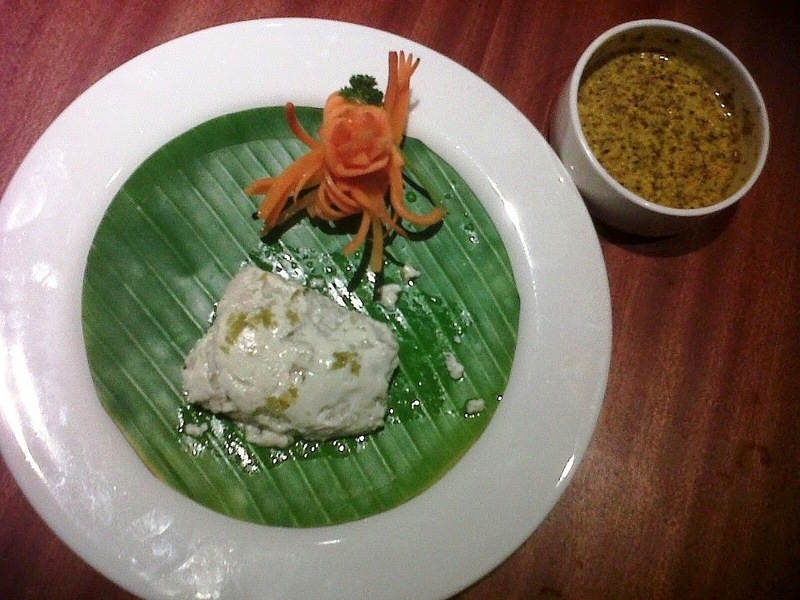 There is also Doi Mach, the traditional curd based rohu fish preparation of Bengal. For desserts I love the Nolen Gurer Ice cream here, which is an ice cream made of date jaggery and milk. 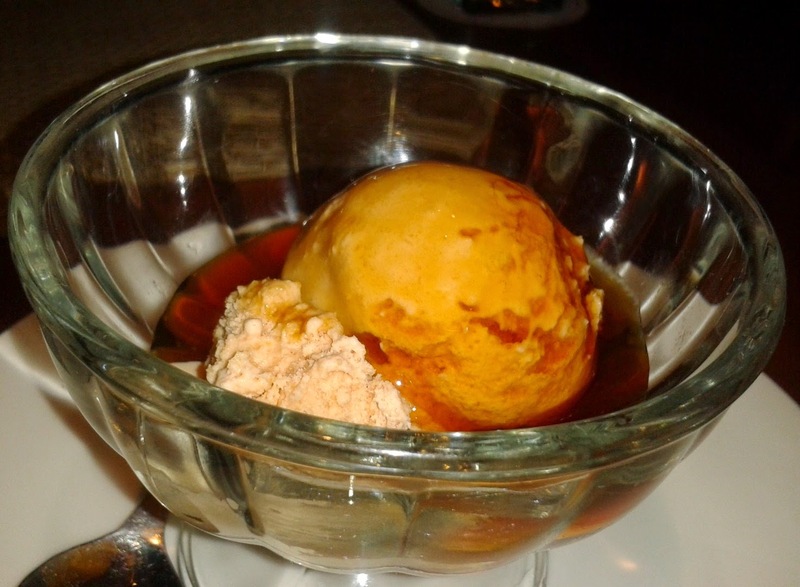 A bit of jhola gur (liquid date jaggery) is put on top of the ice cream. Other desserts like Malpua, Bhapa Sandesh and a mishti doi are also very popular here. 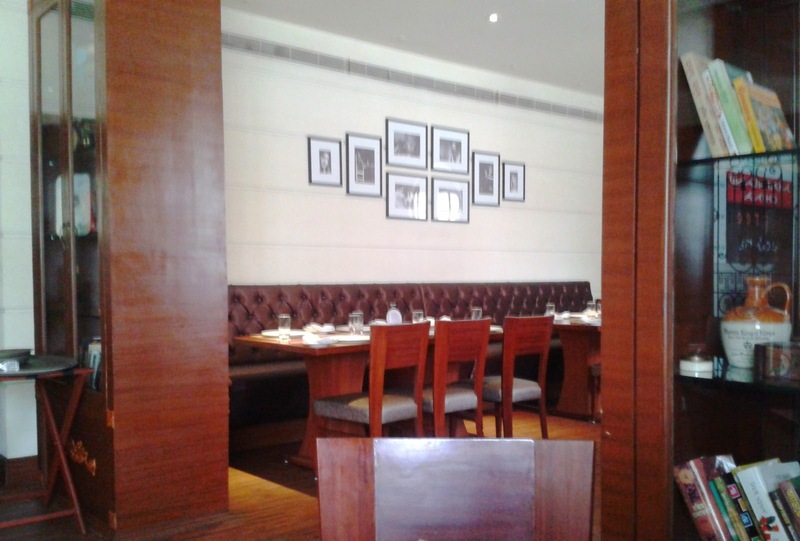 Currently Oh Calcutta has introduced a special weekday lunch for Rs 450 (all inclusive). The lunch has two veg/non-veg starters (Murshidabadi Chicken Fry and Fish Fry when I visited), Luchi- Aloor Dum, Dal, Aloo Bhaja, Aloo Posto, Murgir Jhol, Bhetki Paturi, Chutney and Bhapa Sandesh. An extremely value for money platter this offer is for a limited time. Also a seasonal Ilish (Hilsa) festival is currently on here. Address: 6-3-1186/1/1, Ground Floor, Begumpet, Hyderabad. 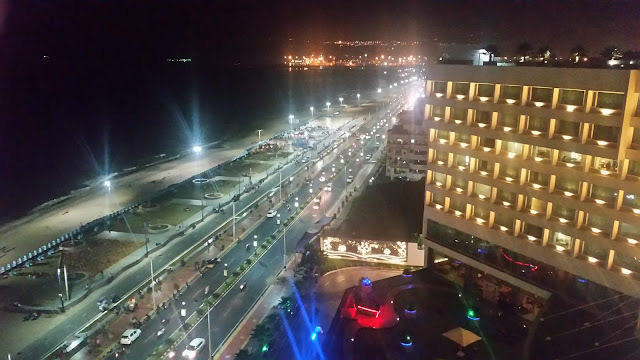 It is very close to ITC Kakatiya Hotel and opposite the Chief Minister’s residence. 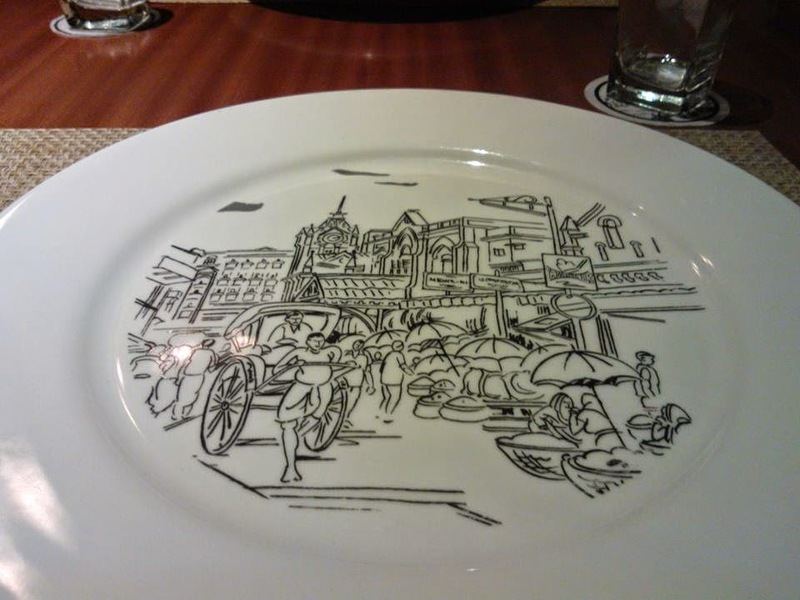 We are planning to visit oh calcutta on this saturday and this blog really helps a lot. Thanks again for a lovely blog.